I wrote this story for the Florida Center for Investigative Reporting. It earned a first place award in feature writing from the Florida Society of Newspaper Editors. It was published on Oct. 2, 2012, on the FCIR website and also appeared in the Miami Herald and El Nuevo Herald. (See original version). HAVANA — Lt. Col. Juan Pablo Roque wore his Rolex with pride — the unique pride of a Cuban double agent who once worked for the FBI. 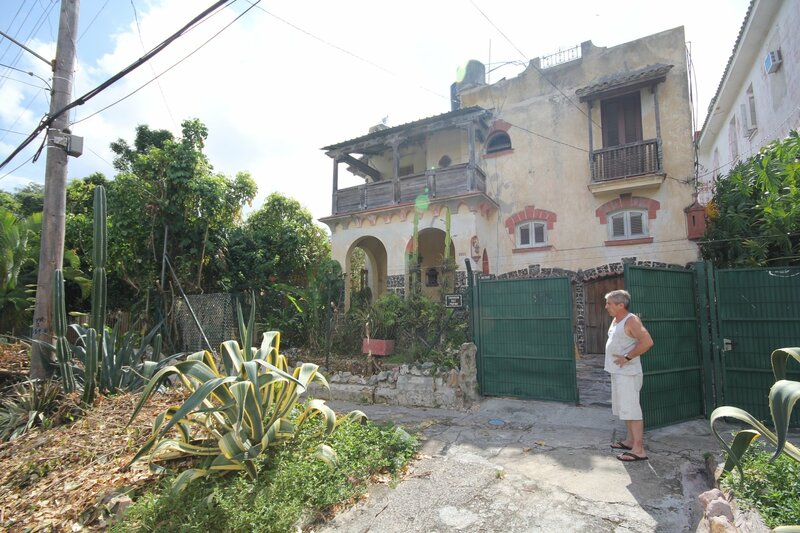 But now the man who was once one of Cuba’s most illustrious spies is out of cash. And he wants to sell his prized watch and his house in Havana. “I need the money,” Roque said in his most extensive interview in more than 15 years. His story illustrates the uncertain life that awaits Cuban spies whose covers are blown. But it’s also a reminder of the extent and success of Cuban spying even now, 21 years after the Cold War’s end. Roque, a former fighter pilot with Hollywood good looks, staged his defection from Cuba in 1992, swimming to the U.S. naval base at Guantanamo Bay and declaring opposition to Fidel Castro. He became a pilot for Brothers to the Rescue, a group dedicated to searching for rafters in the Florida Straits. But then he stunned everyone in 1996, slipping back into Cuba the day before Cuban MiGs shot down two civilian aircraft flown by members of the exile group. Now 57 and living with his girlfriend in a cramped Havana apartment, Roque said he’s sorry four people were killed in the Feb. 24, 1996, incident. The four dead included Carlos Costa, Mario de la Peña, Pablo Morales and Armando Alejandre Jr.
Alejandre’s sister, Maggie Khuly, said justice was never done. “Speaking for the families, my family in particular, we’re looking forward to the day when Roque faces U.S. courts on his outstanding indictment,” said Khuly, a Miami architect. The shoot-down drove U.S.-Cuba relations to a new low and prompted then-President Bill Clinton to sign the Helms-Burton Act, which ramped up economic sanctions against Cuba. Since then, U.S.-Cuba relations remain as chilly as ever. President Barack Obama loosened some travel restrictions to Cuba after taking office, but has done little else to ease the tension. In fact, U.S. officials have worked steadily to undermine the socialist government, spending more than $200 million on Cuba democracy programs since 1996. Cuban spies in Miami and Havana watch these efforts carefully, sometimes foiling U.S. plans. In 2009, Cuban authorities arrested Alan Gross, a development worker from Maryland. He was a subcontractor for the Agency for International Development and was caught smuggling sophisticated satellite communication gear into Cuba. Cuban authorities slapped him with a 15-year prison term in 2011. Cuban authorities say they’re willing to trade Gross for Cuban agents arrested in Florida after the FBI broke the so-called Wasp spy network in September 1998. Four of those agents remain in American prisons. A fifth spent 13 years in jail and is now free, but can’t return to Cuba until he serves three years’ probation in the United States. The agents are known as the Cuban Five. For 14 years, they have been at the center of a massive Cuban propaganda campaign. They are celebrated as heroes who were defending their homeland. They are household names in Cuba and their likeness is plastered all over signs, billboards and buildings. Roque’s spying exploits were as dramatic as any of the Cuban Five, but he returned to the island to live a life of obscurity. U.S. authorities haven’t forgotten him, however, and some Cuban exiles demand that the Cuban government return him to Florida to face charges. A federal indictment charged Roque with failing to register as a foreign agent and conspiring to defraud the United States in May 1999. Asked about the charges, Roque sighs. He said he believes the Cuban government was justified in defending its air space, but he should not be held responsible for the deaths. Some critics question his sincerity. “If Roque is so convinced of his innocence, then he should turn himself in to stand trial and clear his name,” said Thomas Van Hare, co-author of Betrayal, a 2009 book about the shoot-down. “He’s a maggot,” added the book’s second author, Matt Lawrence. No doubt, Roque is one of the most hated figures in South Florida after the Castro brothers. He’s the spy who got away. And after a home video of him singing, drinking liquor and greeting his mother in Spain surfaced on YouTube in 2011, Cuban exiles in Miami pounced. “The son of a dog reappears,” the video proclaimed. “Richard Gere’s Cuban double,” as Roque has been called, learned to fly MiGs in the former Soviet Union. Photos in the book show Roque hobnobbing with such anti-Castro lawmakers as Sen. Robert Menéndez, D-N.J., and Rep. Ileana Ros-Lehtinen, R-Fla.
Roque remembers those days with a mix of nostalgia and regret. He said he’s alone in Cuba now and misses his relatives in the United States. Alejandro Roque, 48, said he hasn’t been in touch with his older brother since 1996. He said he didn’t agree with Roque’s ideas back then. “The world situation is complex, and often the ideologues fail to distinguish between governments and people … bandits and victims,” Alejandro Roque said. Asked if he had any regrets, Juan Pablo Roque said he wishes he had done more to stop the shoot-down. Roque remains convinced that Cuba was right to defend itself against exile organizations in Florida. 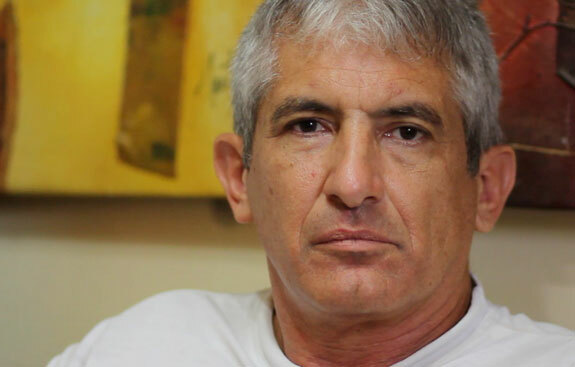 A Salvadoran who said Cuban exiles paid him to plant bombs in Cuba is serving a 30-year term for an attack that killed an Italian tourist in Havana in 1997. Roque believes exiles were bent on provoking chaos in Cuba that would justify U.S. military intervention. “There still are groups that want a confrontation, that want blood. They want three, four, five days to kill,” Roque said. Former members of Brothers to the Rescue admit that they occasionally dropped political leaflets that landed in Havana, but said their primary mission was humanitarian. In the early 1990s, they flew hundreds of missions over the Florida Straits, spotting more than 17,000 Cuban rafters and helping save their lives. They contend that Roque lied about the group to the FBI, painting it as an extremist group interested in carrying out acts of sabotage in Cuba. Roque wants the United States and Cuba to end the hostilities and normalize relations. He dreams of seeing fighter pilots from the United States, Cuba, Vietnam and Russia joining together to share ideas. Ana Margarita Martínez doesn’t believe a word of it — and it’s no wonder. As part of his elaborate cover, Roque married her in 1995 only to abandon her and her two children less than a year later. “If you look up the definition of sociopath, it describes him well,” she said. It could have been worse. Roque could have landed in an American jail. He was surprised at how aggressively U.S. authorities pursued other members of the Wasp spy network. Khuly isn’t sympathetic to Hernández’s plight. “He has had every opportunity that the United States offers its citizens to defend himself — all the way of up the Supreme Court — and he’s not even a U.S. citizen,” Khuly said. “I did so many jobs. I asphalted streets there. I took on that job with African-Americans. They liked me a lot. Every time they asked me where I was from, I told them I was Cuban. They asked me if that was near Alaska. But I felt a lot of solidarity with them. Now unemployed, Roque said he reads as much as he can about science, aviation and the cosmos. He works out regularly and prefers weightlifting and parallel bar exercises, a regimen he learned in the Soviet Union. He said if he had to swim to the Guantanamo naval base again — some 6 kilometers, or 3.7 miles — he wouldn’t hesitate. He declined to disclose the price of the two-story, three-bedroom home he is selling. 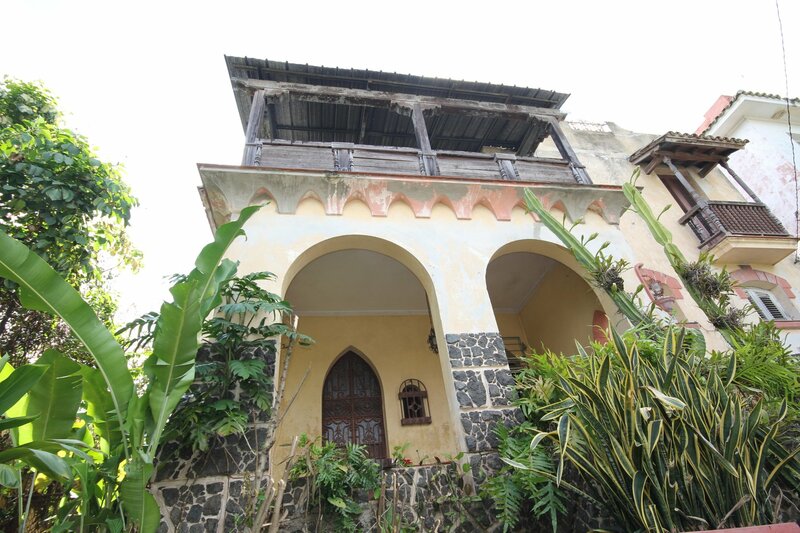 The house belonged to his parents and has a lush backyard filled with tropical plants and fruit trees. The ex-spy’s Rolex is a GMT Master II, a model designed for pilots with the help of Pan Am Airways in the 1950s. 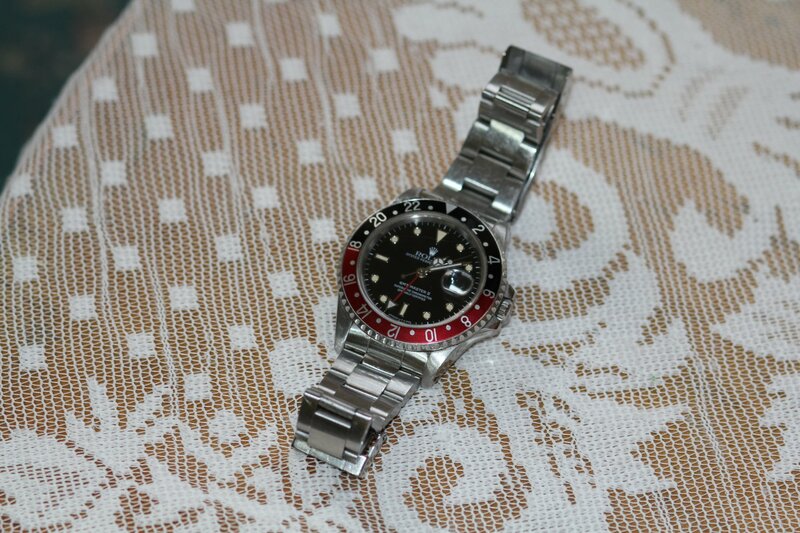 Used GMT Master II watches go for $4,500 and up on eBay, but Roque hopes his will fetch more than that in an auction.